First of all, it would be of great medical value to all to know that YK11 is not really a SARM. It would be more accurate to categorize it as a Myostatin inhibitor. To understand more clearly what YK11 actually is, it is crucial to understand what is a myostatin inhibitor in the first place. Myostatin and follistatin are compounds that are found in the human body. These act as regulators for muscle and mass growth. It is natural that your average body cannot be beefed up to incredible levels and this is ensured effectively by myostatin levels in the body. Myostatin keeps muscle mass in check while follistatin allows it to grow further. Bodybuilders, by default, have low levels of myostatin and this means that they can build a lot of muscle mass in one go. If you too wish to build a good body of solid muscle mass, you need to inhibit the working of myostatin in some way. This is where a myostatin inhibitor comes into play. It is a compound that keeps the levels of myostatin in check so that one can then build muscle mass as much as he or she wants. Myostatin inhibitors like YK11 and others help to bring down myostatin levels and, in turn, increase the levels of follistatin. This helps aspiring fitness freaks and bodybuilders to increase their muscle mass significantly without any side effects. Now that we have understood what a myostatin inhibitor does, let’s find out what YK11 has to offer. In one way, the working of a myostatin inhibitor is quite similar to that of a Specific Androgen Receptor Modulator. In the case of a SARM, the compound works on the androgen receptors found in the human body so as to produce the same effect of increased hormone levels without converting into actual hormones. Similarly, YK11, which inhibits myostatin, acts in a similarly positive manner so as not to cause any harmful disturbances in the body. When taken into the body, YK11 will act on the receptors of myostatin found in the human body. It will help to check the production of myostatin so that muscle growth is not hampered as a consequence. When this effect is paired with more challenging fitness and weight-lifting exercises, the result is that one is able to build more skeletal muscle mass. On the other hand, YK11 will also improve the production of follistatin which encourages more muscle development and growth. 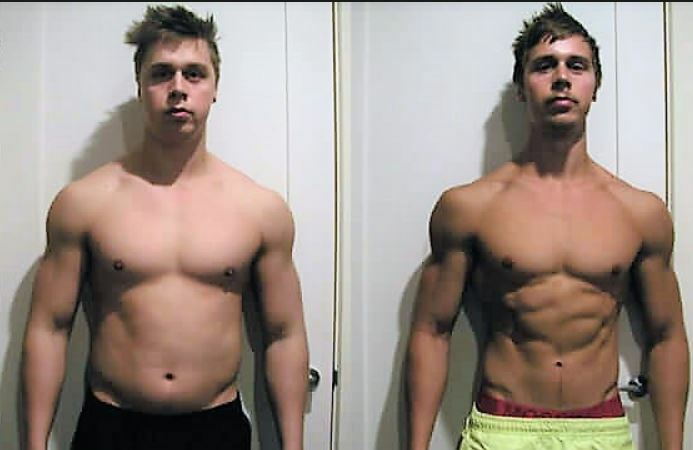 This is how it helps aspiring bodybuilders to grow their muscle mass without any side effects. For everyone, who wishes to build muscle mass for bodybuilding and sports, YK11 has its own share of advantages which can be quite useful. Lean muscle can be built and even enhanced without the risk of water retention. This never happens when you are taking normal supplements or even myostatin inhibitors. YK11 helps you to build those muscles without the slightest side effect to the rest of the human body. Using YK11 has been found to result in significant growth of size and strength of muscles in the body. There has also been the positive effect of hardened muscles in the human body. These have been as good for bodybuilders as any normal protein supplement for exercises and athletics. Based on how YK11 works, there is a drastic increase in levels of follistatin and an equally notable decrease in the levels of myostatin in the human body. This inverse effect causes more muscle growth and development for both men and women. Other supplements and inhibitors do not allow you to stretch your muscle beyond genetic constraints. But this will not happen if you take YK11 which allows you to cross the genetic levels and grow muscle beyond genetic boundaries of your body. The muscle growth in the human body will occur more naturally due to YK11 supplements as compared to other supplements that provide hormones and myostatin in the human body. This is because the muscle development will be out of a natural reaction between the inhibitors and the existing levels of myostatin and follistatin. For professional-level bodybuilders, there will be more enhanced muscle mass as a consequence of their exercise routine. After the intense weight-lifting exercises, the muscles of bodybuilders feel more puffed up and full and they will also be long-lasting even without a single repair of the same. They will also be healthier and easily recoverable on the right diet. As said even before, YK11 is very similar in the functionality to a SARM. This is because, like a typical SARM, this myostatin supplement will bind selectively with the androgen receptors which are found in the muscles and bones in the human body. After that, it is able to work out an anabolic activity that helps to enhance lean muscle gain in the body. Compared to other supplements like LGD-4033 and RAD-140, which are clearly SARMs, YK11 produces only lean muscle gains which is without fats or any other side effects for the human body. There is no water retention in the case of YK11. It is still unclear as to what is the exact nature of YK11 since clinical studies and trials are still being carried out to discern the same. However, it can be said safely that YK11 has an unrivaled effect on enhanced production of follistatin in the body. Most traditional steroids are not capable of increasing these levels as significantly as does YK11. Even as one might call YK11 safer and healthier than most other alternatives, there is no denying that there are certain side effects and adverse symptoms. Liver toxicity is one, though clinical trials have revealed that this is of an extremely mild and non-severe nature that makes this again not a very serious complication. There are, of course, the usual problems that most inhibitors and SARMs cause, including nausea and vomiting, mood swings, depression and anxiety and so on. However, these are easily curable and manageable. It is also hoped that further research and study into the medicine would reveal to us more about its potential fallacies and side effects. When it comes to the ideal dosage to be determined for YK11, there is still some lack of definite clarity for the same. Most clinical studies and trials have evidenced that a daily dosage of 10 mg would be adequate to produce the desired results. However, it can also be agreed, due to the need for more scientific research in this crucial aspect, that there is no actual or definite limit for dosage. In some trials of this medicine, people have taken about 30 mg of YK11 each and have responded quite positively to the same. Similarly, any amount of dosage can be suitable. However, it is imperative for everyone to consult his or her doctor in this regard to be doubly sure about the same. It is always good to be safe than sorry. For the bulker patients have been using dosages of 20 mg twice daily for a total of 40 mg this should be done with high-calorie diet to keep building muscle. As in the case of most supplements like inhibitors and SARMs, a post-cycle therapy comes recommended for those who take YK11 as well. Most doctors and fitness experts agree that anyone, who is accustomed for a PCT when taking steroids or SARMs, should also follow the same schedule for taking YK11. This means that if a bodybuilder uses this inhibitor for a period of 8 to 10 weeks at a single stretch, he should follow it up with a post-cycle therapy session that would last for the same period roughly. This is exactly the rule as it is with other supplements. And it is necessary even as YK11 is quite safe. In the case of even the healthiest and most secure supplements, some amount of time should be allowed ideally for the body to restore itself completely. It is hoped that this information is valuable to anyone who wishes to know more about YK11 and other myostatin inhibitors in detail. As time goes by, more scientific data will soon be available for everyone’s perusal and general convenience. YK11 is one of the newer Sarms on the market. I would say this SARM is more like a buffer. It has been seen having large results in muscle hardening. Large gains made in dry or lean muscle mass, when used with proper diet. very similar results to steroids without all the nasty side effects. Users have also seen great results in higher dosages, once again is great because of the lack of side effects within the system. Patients have said that use of a PCT cycle should be used after use of Yk-11 just to be safe. It’s an awesome solution to someone not just looking to inject themselves as this can be taken orally. Standard dosages have seen little to no effects on users body negatively. This Sarms is good for fat burning and bulking issues.